While the last set of special elections to put candidates in congress ended last week, there are still primaries setting up this November’s midterms, as well as a smattering of local elections to be decided—and last night brought some serious drama. First, we’ll start with the biggest news of the night in Bernie Sanders’ home state. You may have heard about the 14-year-old boy who made his way on to the ballot in the Democratic primary for governor, but the real story is and has been the winner of that race: Christine Hallquist. If she defeats Republican Phil Scott in November, she would be America’s first transgender governor, but while that is a vitally important symbolic victory proving that America can evolve into a more tolerant nation even in the Age of Trump, that’s not the main story. Hallquist did not run on a platform of simply being transgender—she ran on an unabashedly liberal platform of Medicare for All, Internet for All, free college and a robust green jobs program. While Vermont is one of America’s most liberal states, it’s still notable that she was able to win a Democratic primary running on a platform that many Democrats have been hesitant to embrace. Hallquist busted down more than one wall last night. Keith Ellison is (was?) something of an ideological heir to Bernie Sanders. The sitting congressman ran for Minnesota’s Attorney General, and he won the Democratic primary last night. The reason I say “was?” is because Ellison’s ex-girlfriend accused him of abuse, which he has denied. What complicates this story is that this has been floating around in the Minnesota press for about a year now, and no one has published the report, which inherently raises questions about the veracity of his ex-girlfriend’s claims. As of this writing, I feel uncomfortable declaratively stating that Ellison is either guilty of these allegations or not, but it’s clear that if they are true, Ellison should step down, as the standard on the left has been established with Al Franken. Speaking of Al Franken, his open seat was up for grabs. Senator Tina Smith was nominated to replace him, and she was challenged by former George W. Bush staffer, Richard Painter. Painter has spoken out vehemently against his old party, and debated whether to run as a Democrat or a Republican. Ultimately, his bid as a Democrat fell short against someone who has been devoted to the Democratic cause since before there was a President Trump. This is good news, as America should continue to ostracize those who worked on one of the most disastrous presidencies in history from holding any more political offices. 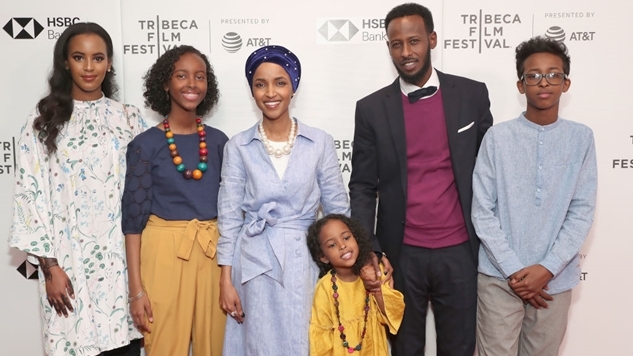 The race to replace Ellison on the Democratic congressional ticket was won by the woman in the center of this piece’s title photo, Ilhan Omar—a Somali-American former refugee running on an unabashedly progressive agenda. Given the reality of this deep blue district, she effectively has won this November’s election. She will join Rashida Talib from Michigan’s 13th district as the first Muslim women elected to the United States Congress come November. Like Christine Hallquist’s victory in Vermont, this is another sign that America is entering a new, more tolerant era. The national media narrative from last week’s elections that America’s resurgent left had been tamed was repudiated last night with the victory of multiple leftists in multiple states. Nothing is ever as simple as the CNN’s of the world like to make it seem. Lastly, former presidential candidate/Minnesota governor, Tim Pawlenty—a man with the political personality of a saltine cracker topped with another saltine cracker—lost the GOP primary for the governorship to Jeff Johnson. Based on his comments last night, this is likely the last time you’ll ever have to hear the name Tim Pawlenty. Paul Ryan is retiring at the end of this term, and the Democrats elected Randy Bryce—a pro-union ironworker, an Army veteran, and cancer survivor—to challenge Bryan Steil, who was handpicked by Paul Ryan to run on the GOP ticket to replace him. This will be one of the most hotly contested races this fall, as Bryce—or @IronStache as he’s known on Twitter—built some real momentum in his bid to challenge the Speaker of the House before Ryan decided to step down. Cook Political rates this race as “Lean Republican,” but with the amount of money that Democrats are expected to funnel into this race, combined with the ever-increasing blue wave, this may change over the coming months. The Republicans are mounting a challenge to popular Democratic Senator Tammy Baldwin, and state senator Leah Vukmir won a hotly contested GOP primary against ex-Democrat Kevin Nicholson. GOP donors have spent a TON of money in Wisconsin to challenge Baldwin. Vox found that outside conservative groups have already spent $16 million in the state, compared to $20 million total in 2012 during Baldwin’s Senate race. Tony Evers—Wisconsin’s Superintendent of Public Instruction—won over a crowded field of Democrats for the right to challenge Republican Governor Scott Walker this fall. This is going to be one of the most hotly contested governor races of the midterms, as Scott Walker has drawn the ire of pretty much the entire left. While every political ratings agency lists this race as “Lean Republican,” you can be certain that both local and national Democrats will do everything they can to tip the scales away from a man who embodies so much of what makes the Republican Party so odious. Speaking of odious, we’ll end on another high note. Remember Sheriff David Clarke? The plagiarist who oversaw a prison where four people died, including a baby—and is now subject to criminal charges filed by the Milwaukee District Attorney’s Office in connection with the death of an inmate who died of “profound dehydration”—has had his reign of terror cut short. Clarke resigned last August, but his chief deputy, Acting Sheriff Richard Schmidt was running to replace him. He lost to Earnell Lucas, a 25-year veteran of the Milwaukee Police Department, who was effectively running on a platform of reversing the horrors of the Clarke regime. Last night proved that even in the Age of Trump, progress is possible. We just have to work for it. If you’re not registered to vote, make sure that changes before November’s midterms.